Bethesda is, as of today, suing Warner Bros over alleged code theft in creating a “blatant rip-off” of Fallout Shelter. The details: Bethesda’s suit, filed yesterday in a Maryland US District Court, is aimed both at Warner Bros and developer Behaviour Interactive. In it, Bethesda says the two companies misappropriated trade secrets while developing their game, allegedly to copy Bethesda’s successful 2015 mobile game as closely as possible. The trailer for Westworld Mobile, which dropped yesterday, shows you managing a team of hosts (the series’ advanced robots) to keep the titular park’s guests happy, with its dark moments of violence juxtaposed by its cartoony art style. Think Roller Coaster Tycoon by way of Fran Bow. Warner Bros., sharing a similar consumer demographic, and recognizing Bethesda’s significant success in bringing its FALLOUT SHELTER game to a broad audience on mobile devices, engaged and collaborated with Behaviour to develop a mobile app for its own science-fiction property, Westworld. The unlawful use of FALLOUT SHELTER’s design, gameplay, and copyrighted computer or source code allowed Behaviour and Warner Bros. to develop a mobile game with features and gameplay highly similar to those in FALLOUT SHELTER. This allegation is aimed more at Behaviour, a Canadian game developer whose past credits include Dead by Daylight, Zoo Tycoon: Friends, and…um, Fallout Shelter. Oh yes, the plot thickens. But wait. 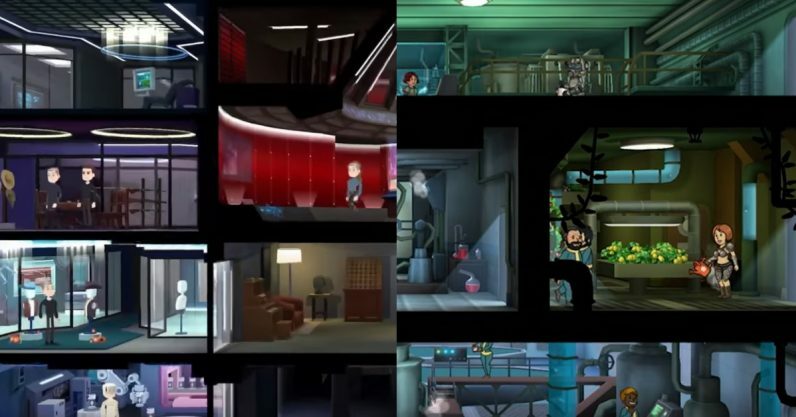 There’s more: Fallout Shelter itself isn’t really unique. It takes a lot from on the ancient Activision game Little Computer People. Todd Howard even cited that game as inspiration when he introduced Fallout Shelter during E3 2015. The more interesting claim is that Warner Bros uses copyrighted Fallout Shelter code in making Westworld. Allegedly, Behavior breached its contract with Bethesda — which specifies that Shelter assets belong solely to Bethesda — in order to develop the latter game. As evidence of that, Bethesda says the demo version of the app even has the same bugs as the earliest iterations of Shelter (which was patched after release). If you’re interested in seeing what both games are about, and judging the merits of the case for yourself, Westworld is out on Android and iOS. Fallout Shelter is still available on both mobile platforms and has since been released on Steam and all major consoles.